Definition at line 134 of file winsvc.h. Definition at line 136 of file winsvc.h. Referenced by EnumServicesStatusExA(), GeneralPageProc(), GetServiceList(), InitGeneralPage(), PropSheetThread(), RefreshServiceList(), REnumServicesStatusExA(), and SaveDlgInfo(). Definition at line 135 of file winsvc.h. 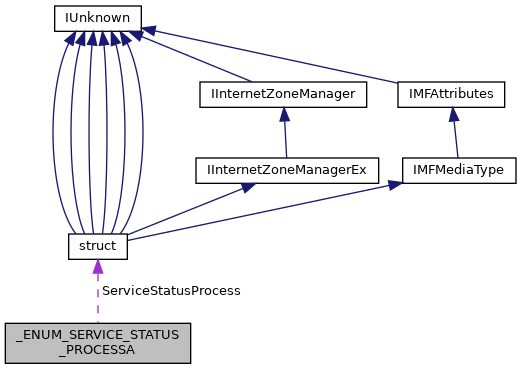 Referenced by ChangeListViewText(), EnumServicesStatusExA(), GeneralPageProc(), GetServiceFailure(), GetServiceList(), InitDependPage(), InitGeneralPage(), OnApply(), REnumServicesStatusExA(), SaveDlgInfo(), SetButtonStates(), and UpdateServiceStatus(). Definition at line 137 of file winsvc.h. Referenced by ChangeListViewText(), GetServiceList(), REnumServicesStatusExA(), SetButtonStates(), SetServiceStatusText(), and UpdateServiceStatus().